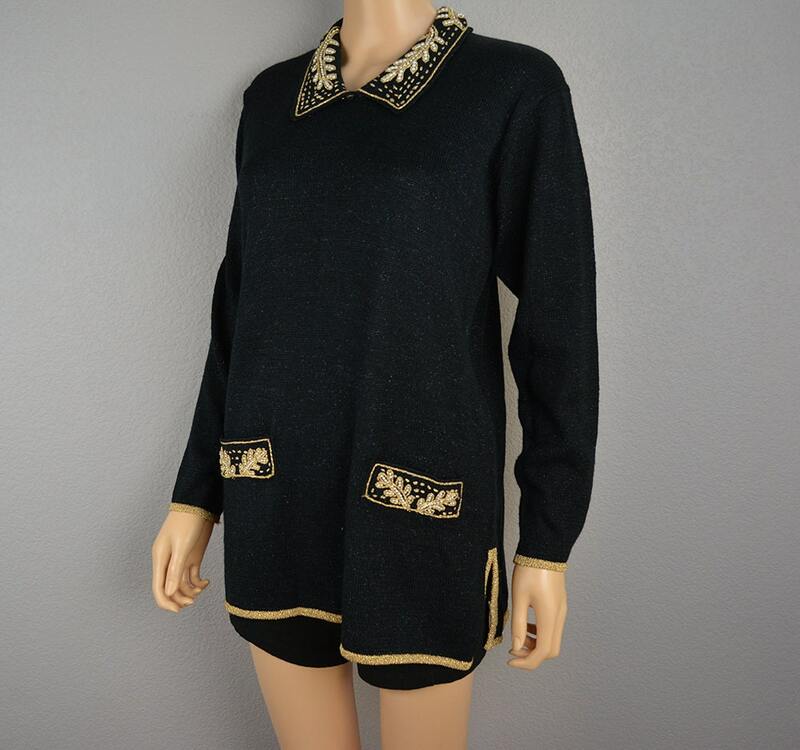 Glamorous 90s evening sweater for sale. 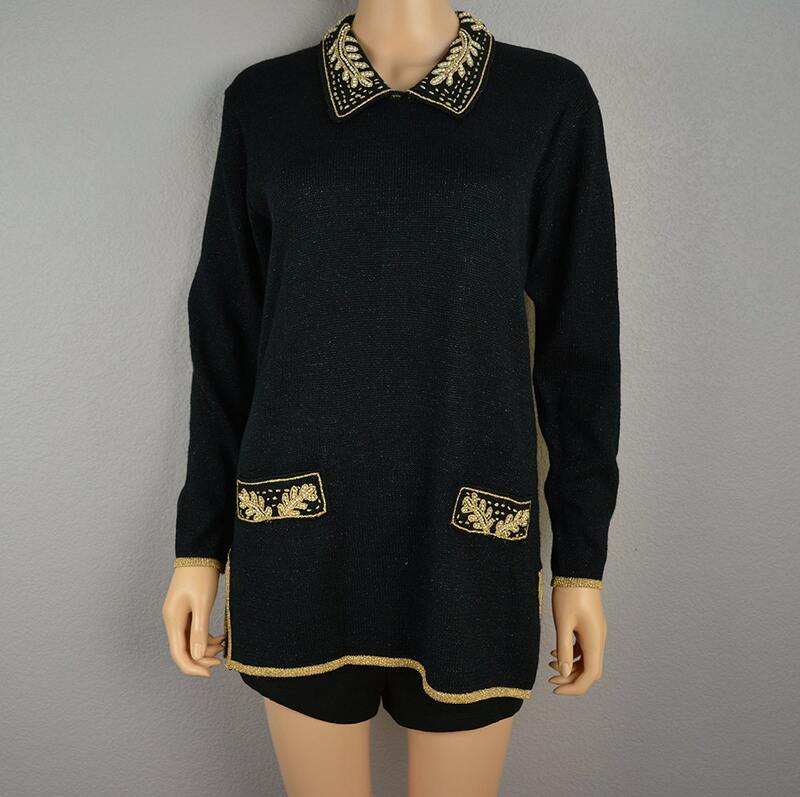 Going to a holiday party? 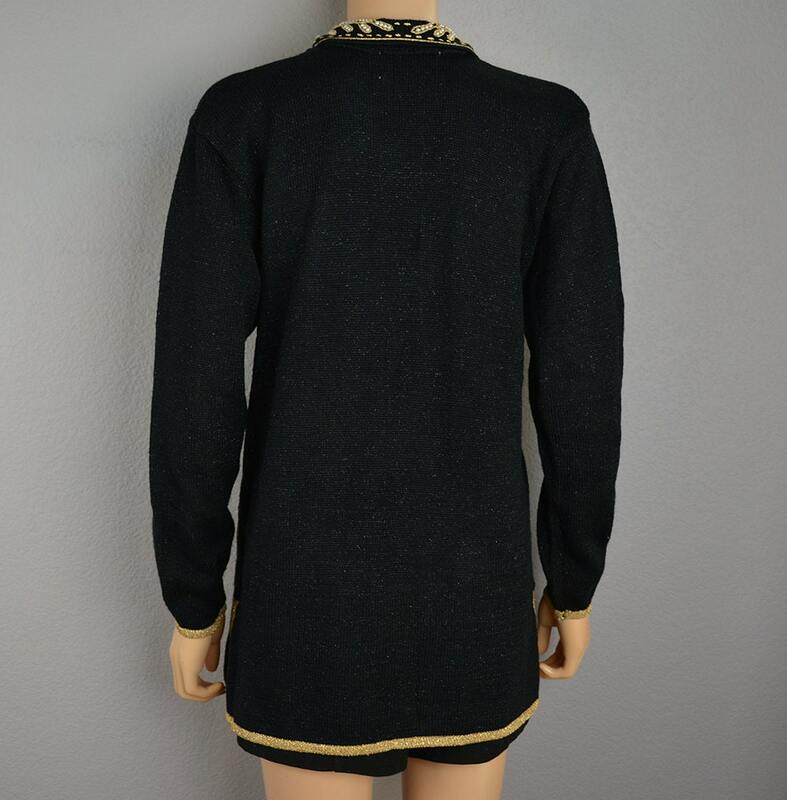 This is the perfect sweater to pair with a mini skirt and some tights or with leather leggings. 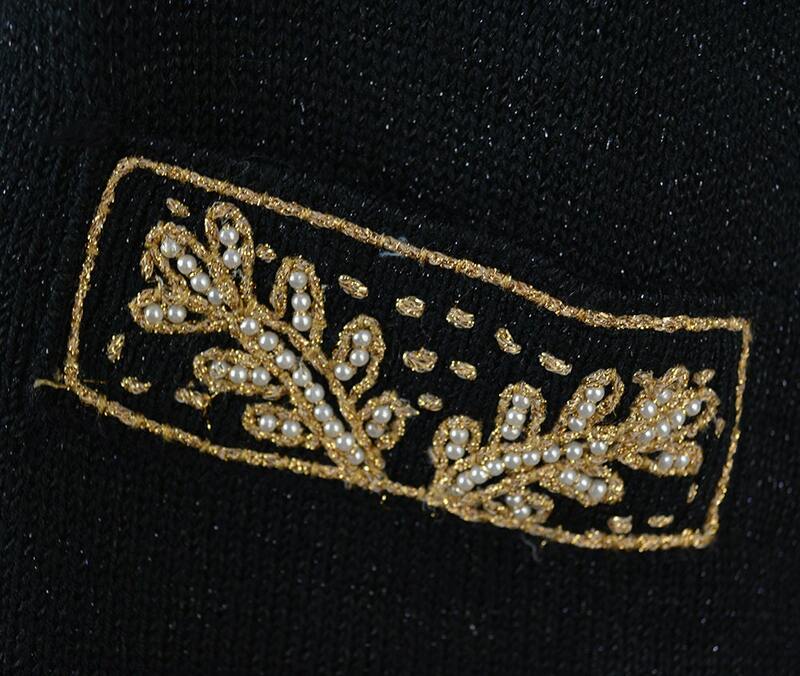 It has tiny pearl beads on it as well as subtle sparkly metallic threads throughout. The material is nice and high quality. 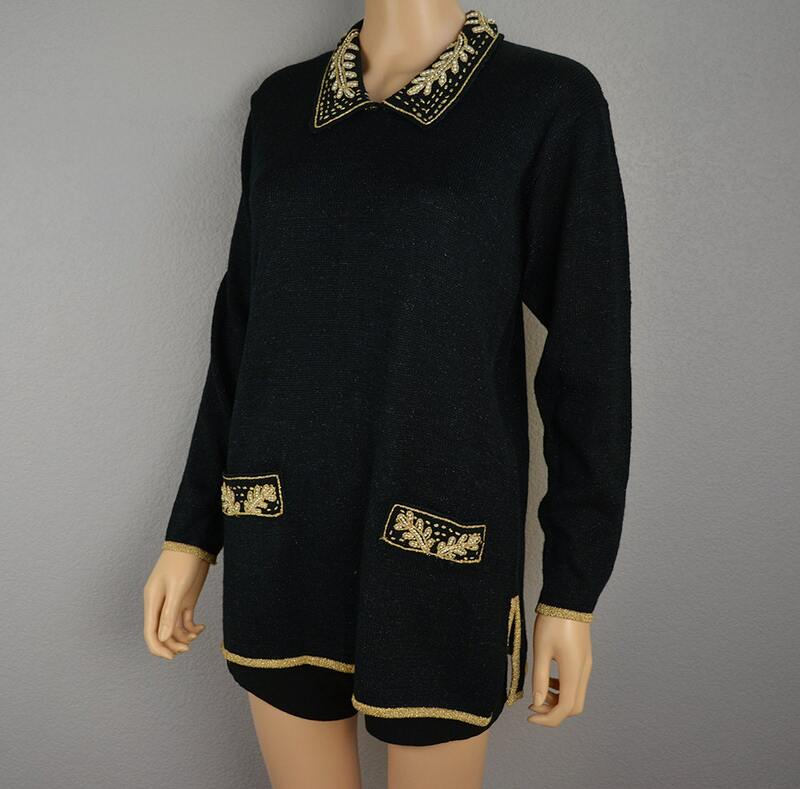 This is so chic and timeless, and it is in perfect vintage condition!